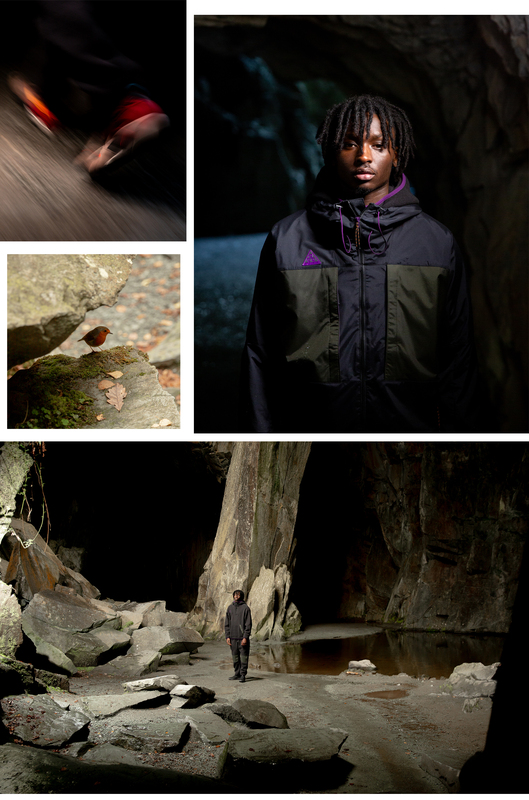 After a decade out of the limelight, spring/summer saw the return of Nike’s iconic ACG collection. All Conditions Gear fans rejoice, as the collection is again making its return with a fall-ready capsule. 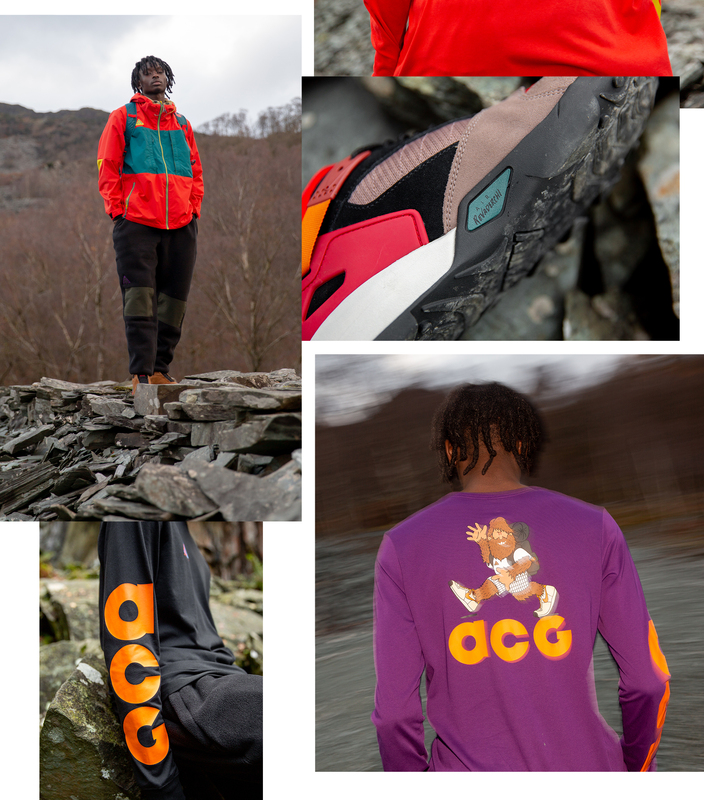 ACG was first popularised in the late 80’s/early 90’s after Nike realised their running shoes just weren’t cut out for hours of trekking across mountain ridges in the sun and rain. More needed to be done to ensure the wearer felt comfortable in an outdoor environment without having to worry about whether their kit was up to par. 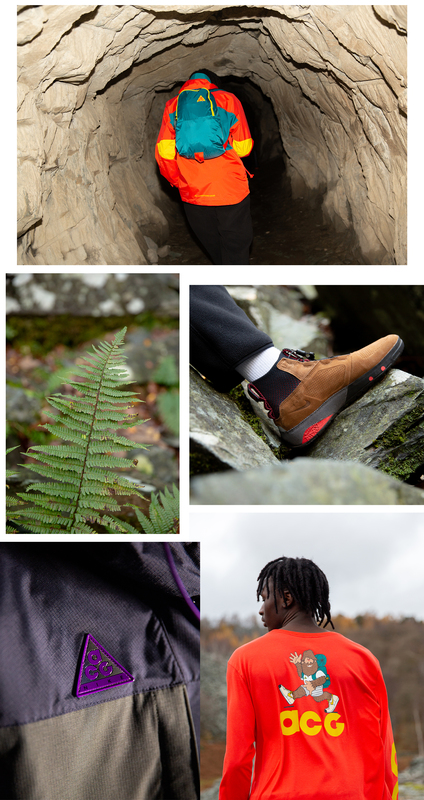 Shoes in the early 80’s (pre-ACG branding) that encompassed the outdoor mentality were the Lava Dome, Lava High, and Magma, a trio that came in low to high varieties dependent on the user’s preference. A vibrant colour palette would also sit tightly alongside deep brown suede, thick sponged mesh or hard-wearing leather. Outerwear followed a similar suit; GoreTex and other breathable, functional materials were embedded into multi-pocket jackets which enabled the wearer to take control of their environment. The summer collection really was an accurate representation of heritage ranges gone by, and the autumn drop is certainly no different. 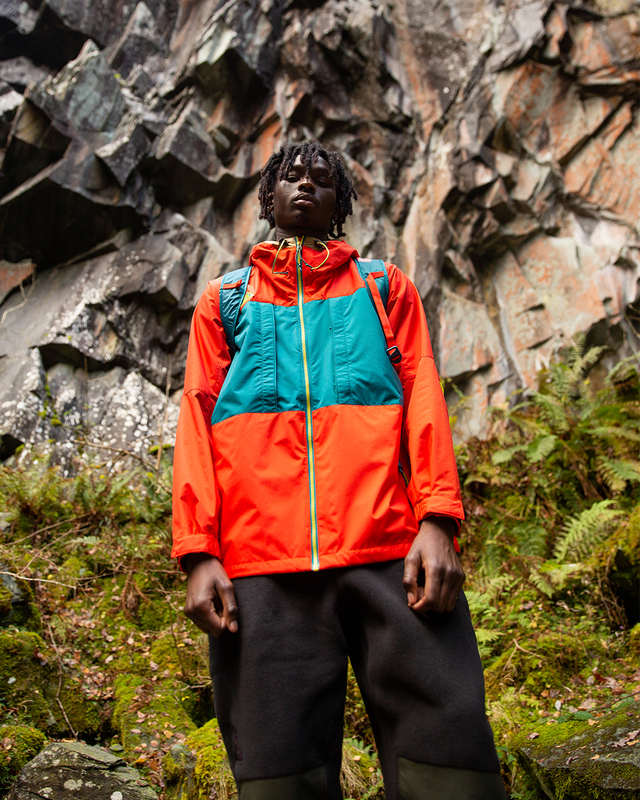 Designed with the outdoors in mind, the latest collection is full of bold colour combinations on technical outerwear pieces. 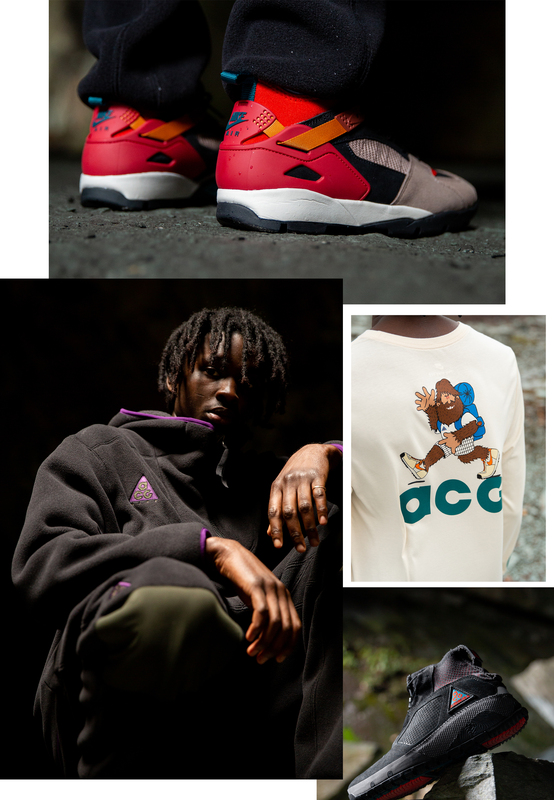 The capsule consists of a mix-up of footwear, pants, tees, fleeced hoodies and full-zip jackets – all donning the iconic triangle insignia. 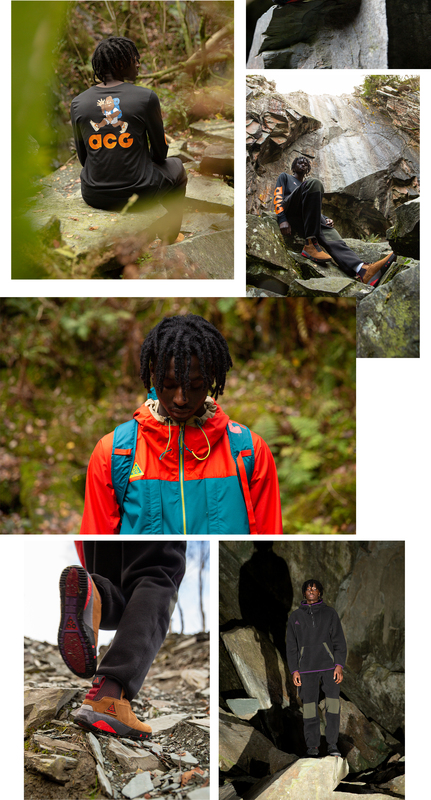 The latest Nike ACG Collection will be available online and in size? stores on Friday 16th November, keep an eye on our Instagram tomorrow for more information.